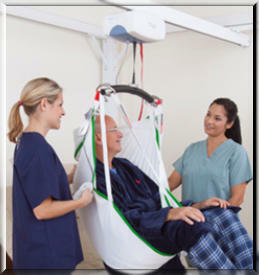 At CARE, we offer ceiling lift systems with a multitude of capabilities and installation options to fit all needs. Our lifts are all produced by the high quality manufacturer, Prism Medical. We offer lifts in both fixed (permanent room to room installation) or portable (movable from location to location within the home as needed) models. 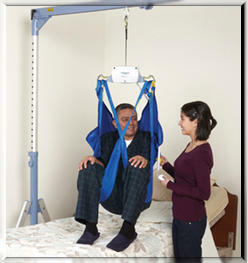 The lifts are available from standard to bariatric weight capacities and come with multiple sling type options.